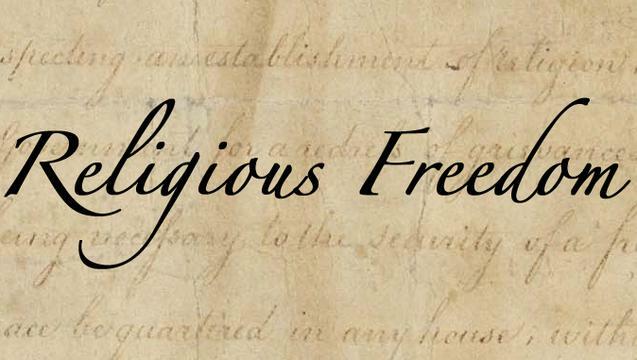 Does the First Amendment Require Government Neutrality toward Religion? The courts have said that our government cannot favor one religion over another or give aid to any of them. In other words, ignore them as much as possible. But they are wrong, and we need to challenge them, our government, and the public, otherwise it will destroy our country. Our Founders considered it self-evident that people were given unalienable rights by God. The courts today would call that a religious statement. The Founders called it a fact. Religious statements today are considered opinions or personal preferences, like your taste in movies or food. The Founders based the existence of our country and the cause of our war with England on a statement they considered true and our courts today would call an opinion. But then you have to ask: how did the Founders know that God gave people rights, and what God were they talking about? It wasn’t Allah, or Krishna, or Buddha, or Moloch, Baal, or Thor. It was the God of the Bible, and Christianity and the Bible were the vehicles of God revealing His will and purposes to humankind. Our Founders also believed that liberty requires a strong moral code because freedom comes with responsibility. That is why the Ten Commandments, love your neighbor as yourself, and do unto others as you would have others do unto you were the moral code for our country for almost 200 years before the courts ruled that unconstitutional, and now we have secularism, which offers us tolerance, equality, fairness, and diversity as the supreme moral code. If you separate our country from Christianity, then you don’t have unalienable rights. You have only those rights given to you by the government. You also don’t have what made us unique among the nations. All governments give some rights to their people. Our country is in the midst of shifting from unalienable rights to government-given rights because the courts have ruled that talking about God in our schools and government is unconstitutional. We have cut off the anchor that made us what we are, and the ship of state will be pushed by the waves to socialism, and maybe communism and totalitarianism. It will take a few generations until the old people who still remember the truth die off, and the kids who were never taught the truth and the millions of people who have moved here who we certainly don’t teach them that either run the nation, and it’s goodbye America.